EPD is a technique where charged particles in a stable colloidal suspension are moved through the liquid due to electric field and deposited on an oppositely charged conductive substrate, forming the intended material or device. EPD enables fabrication of a wide range of structures from traditional to advanced materials, from nanometric thin films to a fraction of 1 mm thick films, and from porous scaffolds to highly compact coatings. These structures include different compositions with complex shapes and structures which can be formed in a relatively short experimentation time by simple apparatus. 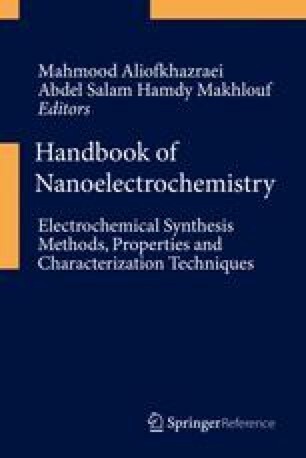 This review presents the fundamentals, mechanisms, and characteristics of EPD along with its past and recent applications. This study is partially based upon work supported by Air Force Office of Scientific Research (AFOSR) High Temperature Materials program under grant no. FA9550-10-1-0010, Oklahoma Center for Advancement of Science and Technology (grant no. AR131-054 8161 and grant no. AR131-049) and the National Science Foundation (NSF) under grant no. 0933763.